The Pilot sunglasses from BLOC are the latest addition to their range. 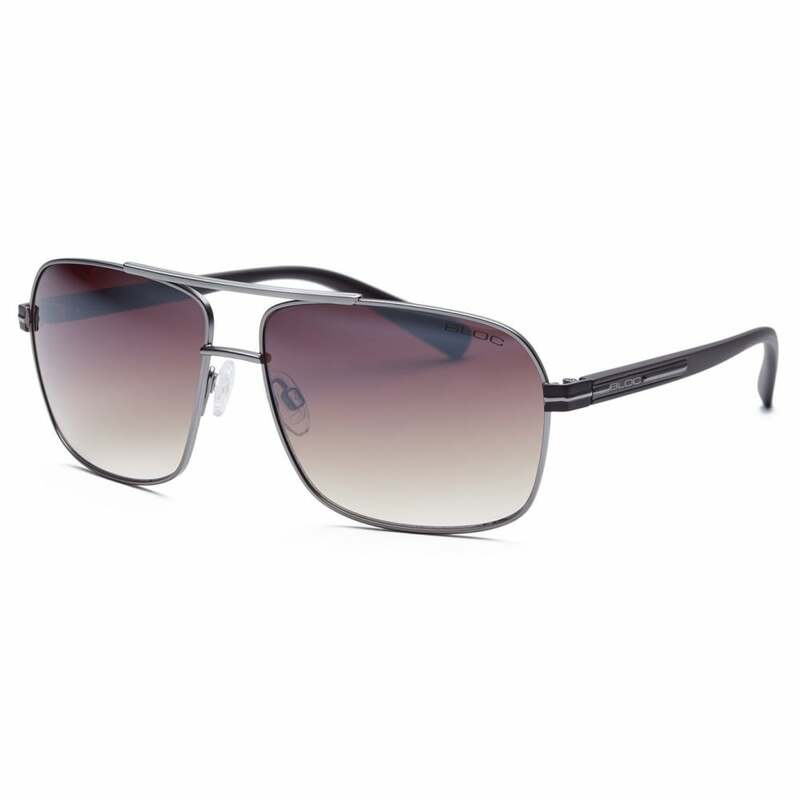 A classic shape, the full frame aviators are naturally stylish in design. These metal frames are beautifully hand finished, formed from a fusion of components for comfort and fit. The hypoallergenic anti-slip, adjustable pads are resistant to most cosmetic ingredients and natural perspiration. The Pilot sunglasses are suitable for everyday wear thanks to their durable, lightweight design. Distortion free, impact resistant XTR Karbon8 optical class one lenses provide maximum protection against UVA, UVB and other harmful blue light up to 400nm. Tested to BS EN ISO 12312-1:201. Effortlessly clean lines and sharp lenses these frames are bound to get you noticed this summer. Showing our 2 Bloc Pilot F450 reviews with an average rating of Excellent. Would you like to write a review? An impulse purchase in the airport, they're a tweaked aviator style design. Lighter and more comfortable than my Oakley Crosshair 2.0 sunglasses. Although not really a direct comparison, but at a fraction of the price they are a steal. My new favourite brand. Great lenses, that make the world a bit more vibrant.